WITH OVER FORTY YEARS OF EXPERIENCE, WE HELP EMPLOYERS OPERATE THEIR PLANS WHILE SAFELY NAVIGATING THE MINEFIELD OF ERISA FIDUCIARY LIABILITY. ERISA Fiduciary Administrators LLC (“EFA”) is an independent fiduciary for employer sponsored retirement plans, including 401(k) plans, ESOPs and defined benefit plans. We offer plan sponsors the option of appointing a professional, outside expert to act as the full-scope “Administrator,” as defined in Section 3(16) of ERISA, out-sourcing substantially all of the time-consuming efforts required to properly manage the plan and oversee all of the vendors providing administrative services. EFA accepts the delegation of fiduciary responsibility that goes along with this role. Our work not only frees up the executives and staff who currently perform these functions and shelters them from fiduciary liability, it permanently lowers the total cost of maintaining the plan in many ways. 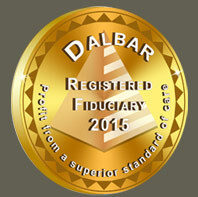 In addition to our extensive experience as ERISA Counsel for thousands of organizations and in depth knowledge of the financial services and TPA industries, EFA is certified by DALBAR, Inc. as both a Registered Fiduciary™ and a Fee Disclosure Expert. EFA is an affiliate of The Law Offices of Philip J. Koehler APC. Click here to subscribe to our free monthly newsletter, The Learning Curve, and read our blog discussing the latest trends affecting employer sponsored retirement plans.